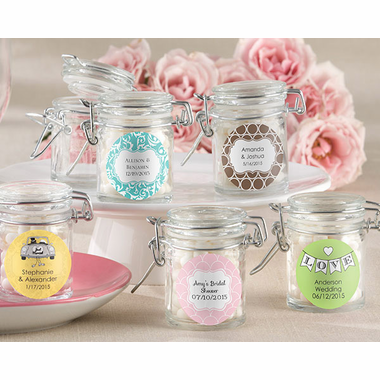 These terrific little glass jars have white-rubber gaskets and metal locking devices. 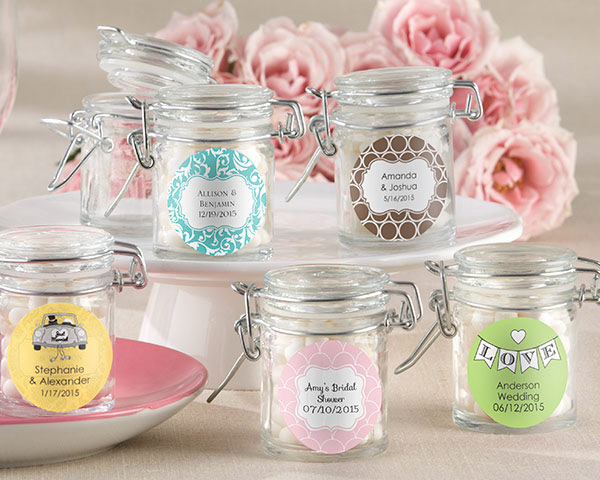 Your guest will love receiving their sweet favor in these jars - and being able to reuse the jar in their own home. After you create your design, paste the red text into the Personalized Text Box above. Each favor jar measures approximately 2.5" x 1.75" including its metal work. Some assembly required. Sold in a set of 12. So Quantity 1=12 jars.